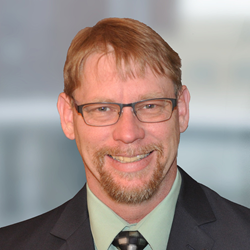 Keith Wisnefske joins Provident, leading manufacturer and distributor of doctor blades, end seals and innovative solutions for the printing industry, as Technical Sales Representative in Wisconsin. Keith Wisnefske appointed Wisconsin Technical Sales for Provident. Keith’s sales, technical and manufacturing abilities in the printing industry will be a tremendous resource to strengthen customer relations and identify new opportunities in Wisconsin. The appointment of Keith Wisnefske as Wisconsin Technical Sales Representative at Provident, leading manufacturer and distributor of doctor blades, end seals and innovative solutions for the printing industry, is announced by Andy Gillis, General Manager. “Keith’s sales, technical and manufacturing abilities in the printing industry will be a tremendous resource to strengthen customer relations and identify new opportunities in Wisconsin.” said Andy Gillis. Mr. Wisnefske is a graduate of the Fox Valley Technical College where he studied Flexography and graduated with honors. He was elected flexography president and the recipient of an FTA scholarship. He brings to this new position, 27 years of sales and technical experience in production printing, press operation, process engineering and lean manufacturing. Keith Wisnefske has also successfully completed his Black Belt Six Sigma training. He resides in Oshkosh, WI. Provident is a leading manufacturer and distributor of doctor blades, end seals and innovative solutions for the printing industry. The company owns numerous patents that have introduced improved doctor blade and end seal performance. Provident operates independently as a wholly-owned subsidiary of Anderson & Vreeland, Inc., preeminent supplier of flexographic platemaking equipment and materials to the graphic arts industry. Further information is available at http://www.providentgrp.com.